In this case a young couple called our House Clearance Bonnyrigg office to request a house clearance to sort out the mess that some squatters had left in their home. They had each taken a one-year sabbatical from work to travel around the world, a dream trip they had planned for some time. They owned a three-bedroomed semi-detached house in Bonnyrigg, and in their absence had rented it out to tenants. Unfortunately, the tenants had left nine months into the one-year contract, so that the property was vacant. Squatters had spotted an opportunity and had occupied the house. Unfortunately, they had left the place in a terrible state. Furniture had been broken, carpets had been stained and covered in cigarette burns and the house was littered with drugs paraphernalia. The couple asked us to clear the house but to save anything that we could. One of our staff went to the house the day before the house clearance date to make an assessment. Although the house was quite small, he could see that we had a fairly big job on our hands. Because of the mess the squatters had made, there was likely to be few pieces of furniture that could be salvaged, and the carpets were also beyond use. Even the fitted kitchen had been more or less wrecked. 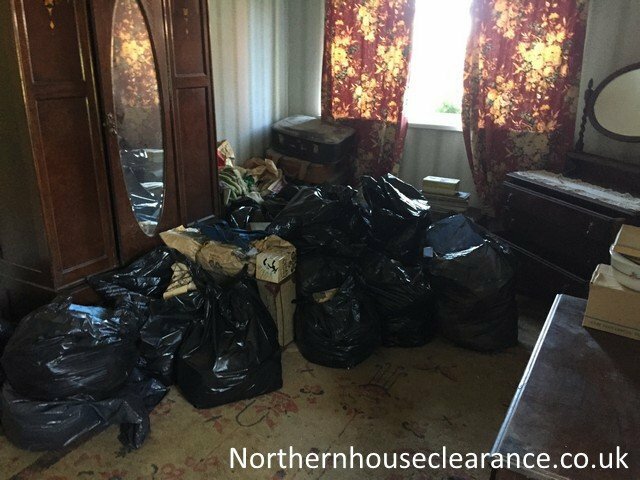 We sent a team of four for the house clearance so that we could finish it in a single day. 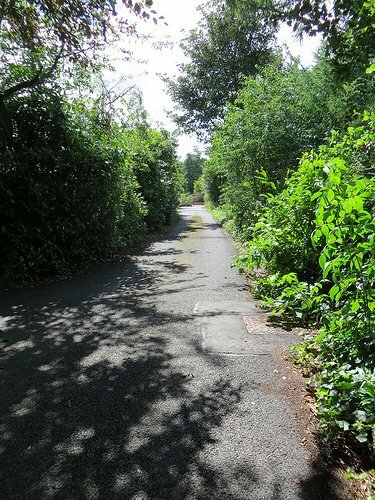 Two of the men started by clearing out the larger items of furniture while the other two set about clearing away the debris left by the squatters which included empty drinks bottles and cans, newspapers, take-away packaging and, in one room, used syringes. These latter had to be disposed of carefully as they can obviously be quite dangerous. By late afternoon we’d cleared the house including the fitted carpets and some of the kitchen cabinets which were beyond use. We then went back through the house giving it a deep clean. In this case we were unable to meet our target of recycling or reusing at least 90 percent of the contents of a house clearance, because the damage caused by the squatters was too severe. We were able to recycle paper, plastic and cardboard waste but the broken furniture and carpets had to go to the local waste facility in Bonnyrigg. This had obviously been a traumatic experience for the clients and they were incredibly thankful to have their home returned to them in a decent state. They were also very impressed by the speed with which House Clearance Bonnyrigg staff worked.